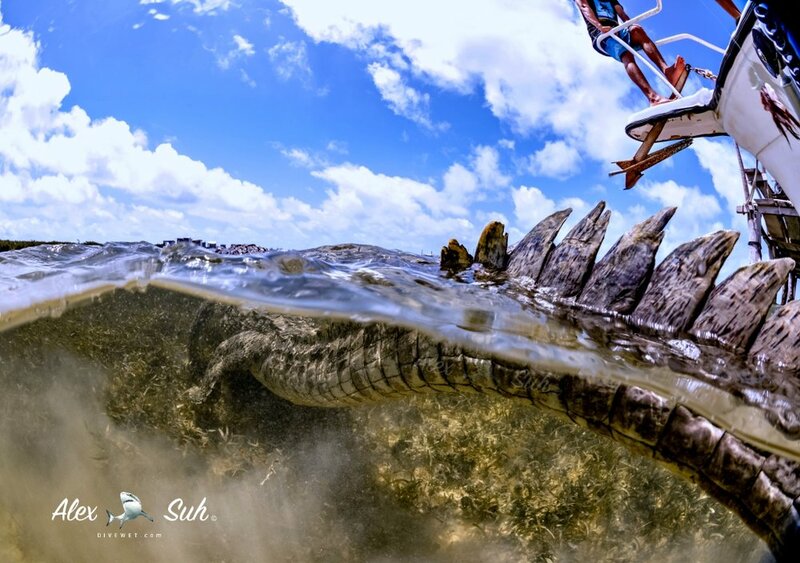 These images were taken in Cuba and Bancho Chinchorro, Mexico. The American crocodile (Crocodylus acutus) is a species of crocodilian found in the Neotropics. It is the most widespread of the four extant species of crocodiles from the Americas. Populations occur from the Atlanticand Pacific coasts of southern Mexico to South America as far as Peru and Venezuela. It also lives on many of the Caribbean islands such as Cuba, Jamaica, Hispaniola and Grand Cayman. 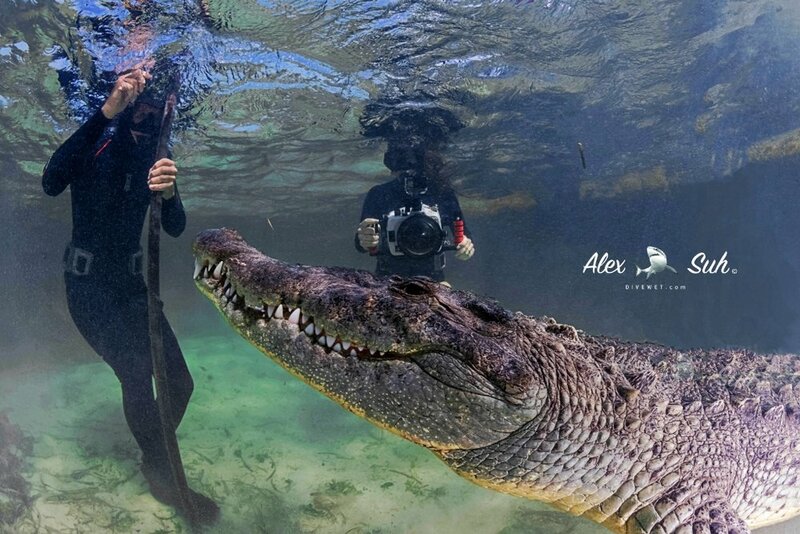 Within the United States, the American crocodile's distribution is limited to Puerto Rico and the southern half of Florida, though at least two have been found as far north as the Tampa Bay area. The current US population, estimated at 2,000, represents a significant recovery from a few hundred in the 1970s. 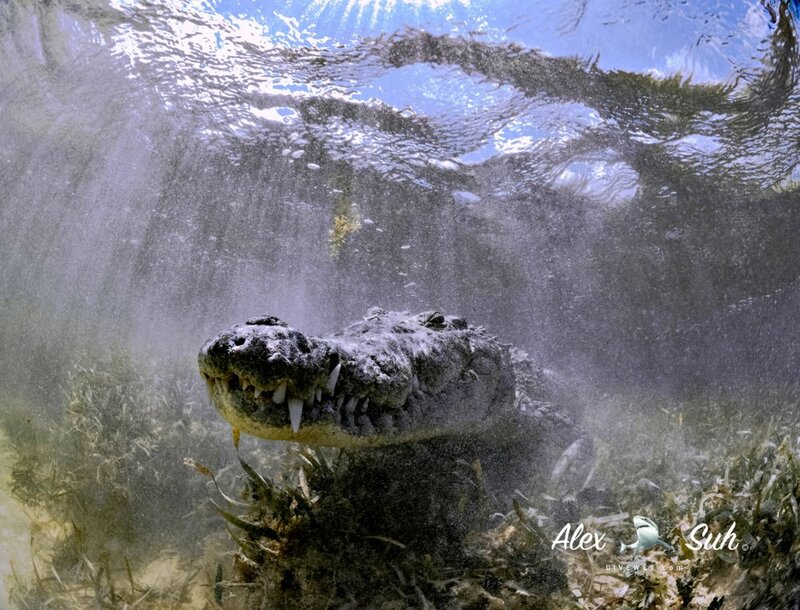 The habitat of the American crocodile consists largely of coastal areas. It is also found in river systems, but has a tendency to prefer, not merely to tolerate, some level of salinity, resulting in the species's congregating in brackish lakes, mangrove swamps, lagoons, cays, and small islands. 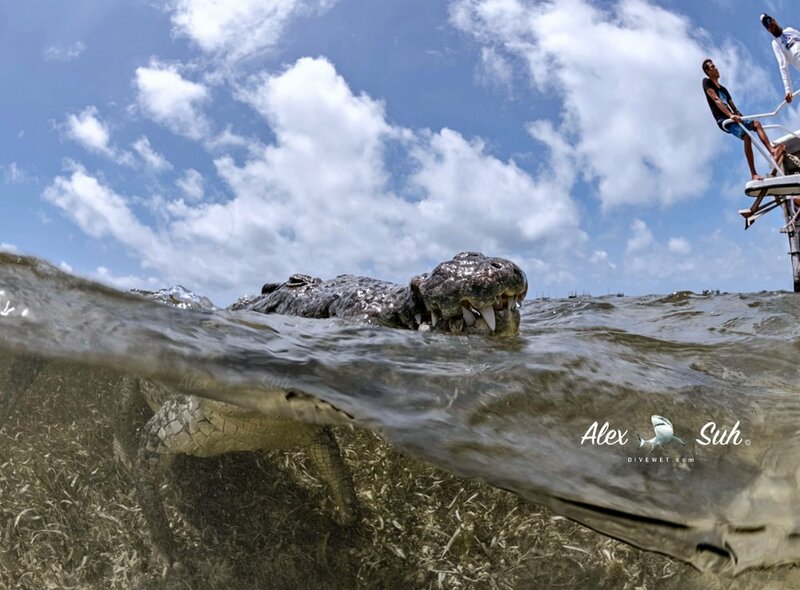 Other crocodiles also have tolerance to salt water due to salt glands underneath the tongue, but the American crocodile is the only species other than the saltwater crocodile (C. porosus) to commonly live and thrive in salt water. They can be found on beaches and small island formations without any freshwater source, such as some of the many cays and islets across the Bahamas and the Caribbean. They are also found in hypersaline lakes, such as the Lago Enriquillo, home to one of the largest populations known to exist. The American is one of the larger crocodile species. Males can reach lengths of 6.1 m (20 ft), weighing up to 907 kg (2,000 lb). On average, mature males are more in the range of 4.1 m (13 ft) to 4.8 m (16 ft) in length weighing about 400 kg (880 lb).. As with other crocodile species, females are smaller; rarely exceeding 3.8 m (12 ft) in length. This species has a more V-shaped snout, compared to other large crocodiles, which usually have a slightly wider snout. Adults have a uniform grayish-green coloration with white or yellow undersides, while juveniles have dark cross-banding on the tail and back. 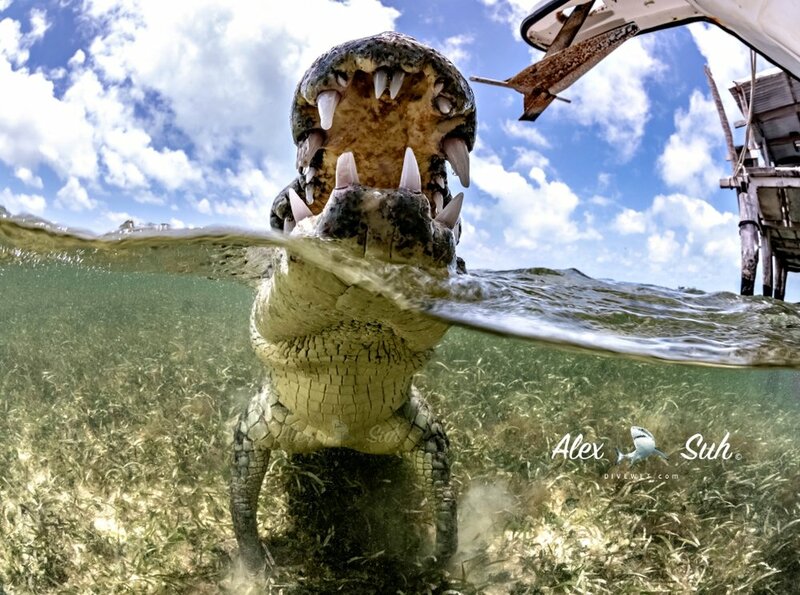 Despite their large size, American crocodiles do not regularly attack large animals, as most large crocodilians do. Fish, reptiles, birds and small mammals make up the majority of their diet. On occasion, large mammals such as deer and cattle are taken. Their dietary habits in coastal regions are not well studied. Like any other large crocodilian, the American crocodile is potentially dangerous to humans, but it is not a very aggressive species and attacks are rare.